The ICUSB2324852 2 Port USB to RS232 RS422 RS485 Serial Adapter with COM Retention lets you connect every type of serial device to your USB-enabled computer, whether it be for RS232, RS422, or RS485 communication. 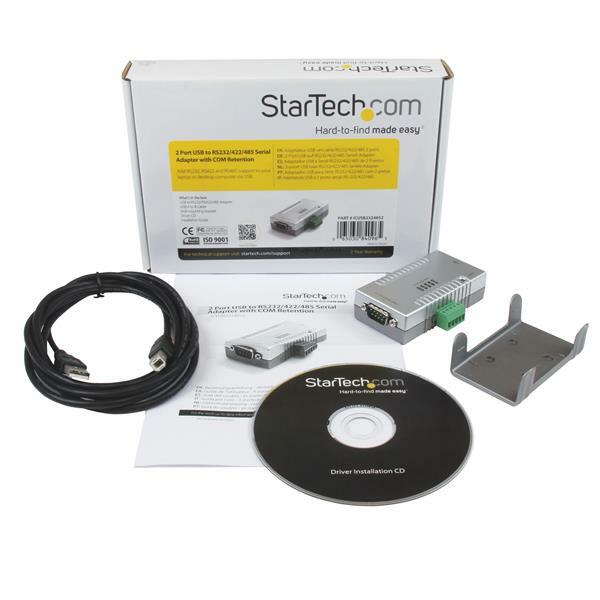 The adapter features a 9-pin (DB9) male and a 5-pin terminal block serial connector as well as dip-switch controls for easy port configuration with minimal software requirements. 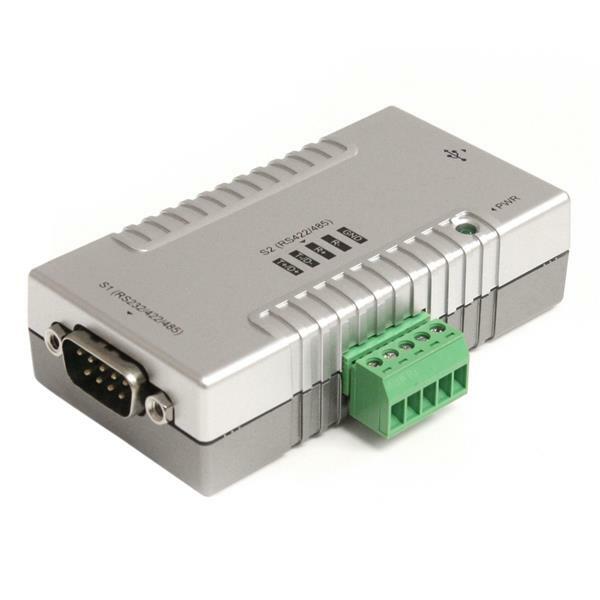 The adapter also supports using 2 ports simultaneously, including with mixed protocols; for example RS-232 on port 1, and RS-485 on port 2, or a number of other combinations. 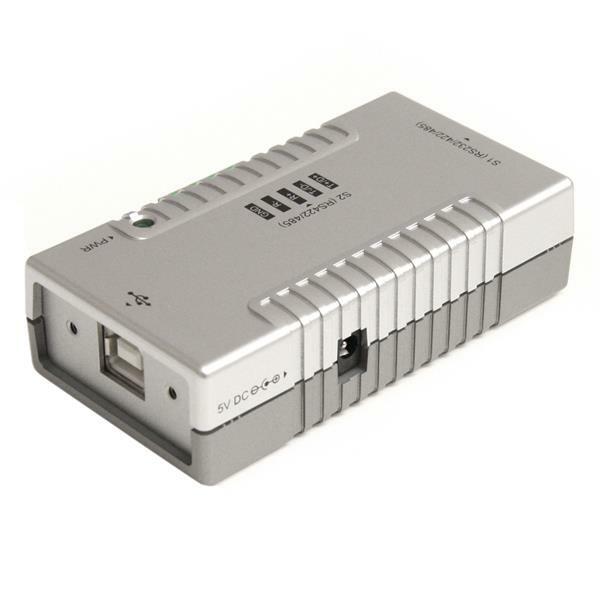 For a convenient, and clean installation in office or industrial settings, the RS232/RS422/RS485 USB Adapter is wall-mountable and fully powered via the host USB connection, providing power to the attached serial device without requiring an external power adapter. The included termination Block isnt great, has a hard time turning down onto thin wires and screws strip easily.